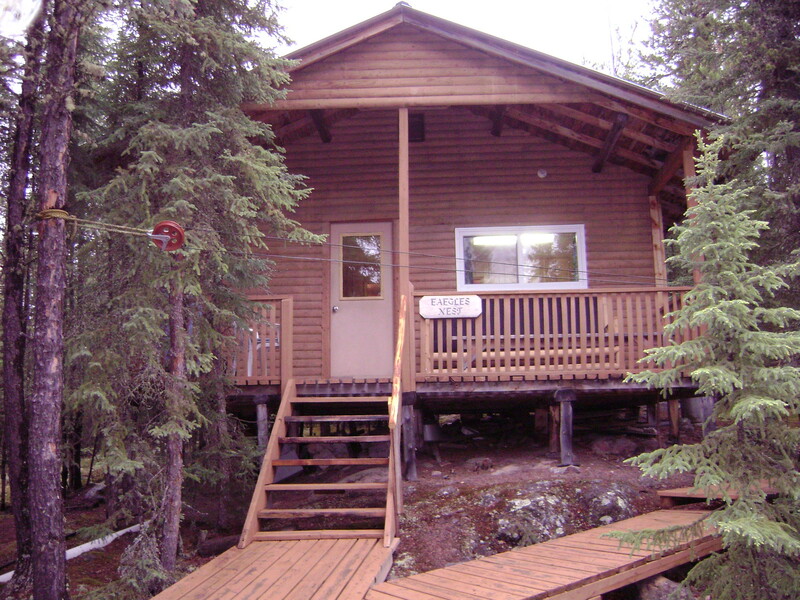 The smallest log cabin is called the Honeymoon Inn, which can sleep a family of three or four people. It's fully modern. 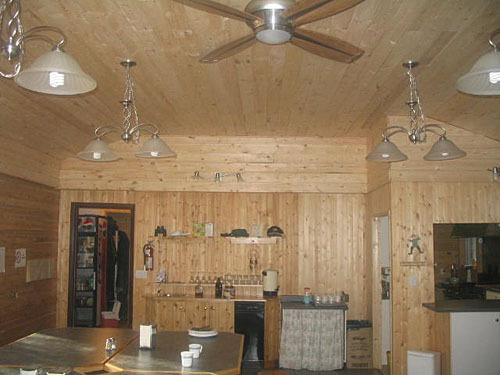 The Eagle's Nest is our largest cabin and has two separate bedrooms plus a main living room with a propane furnace for cool evenings. 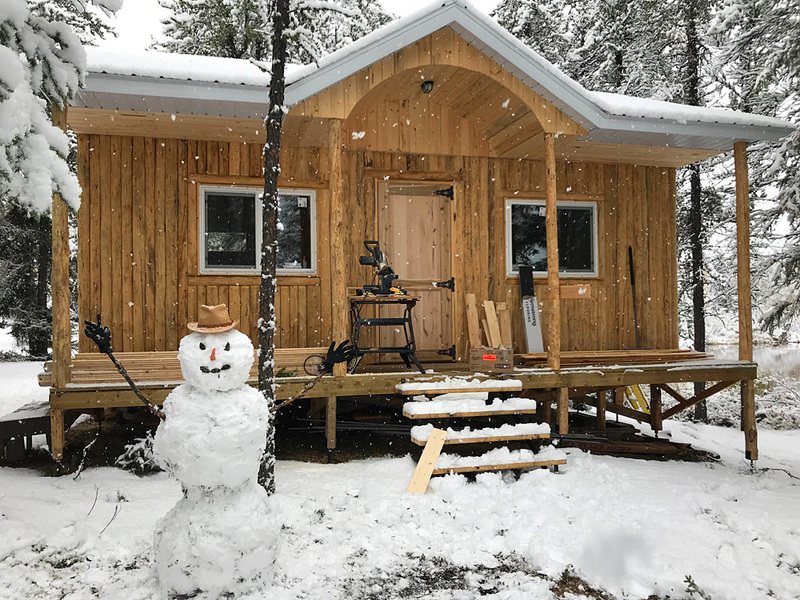 This cabin is semi-modern and sleeps eight people. 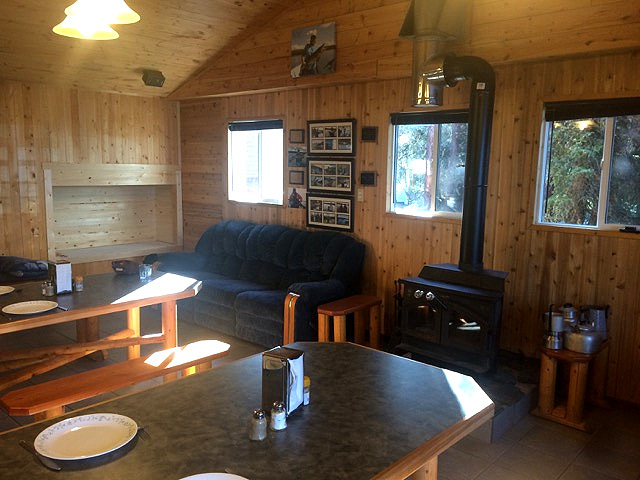 Our second largest cabin is the Bear's Den where snorers can find happiness. It has one large bedroom and the main room, which can sleep seven people. However, it has no amenities. 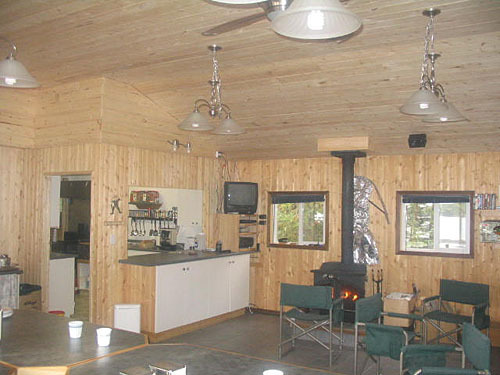 The main shower house, which has two separate rooms with locking doors, is located between the cabins and the main lodge. 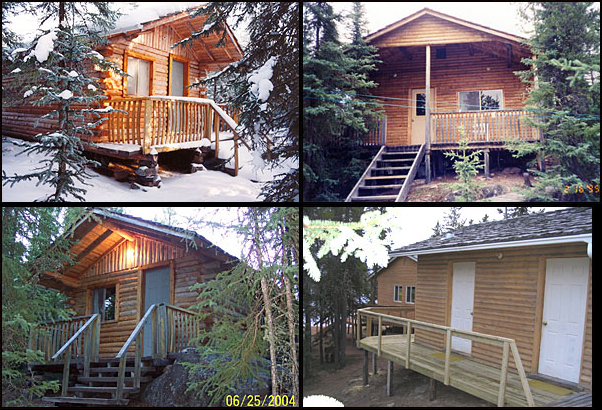 All the cabins are easily accessible by boardwalks, which is helpful for people with physical disabilities.